« More Library Fun for Kids! 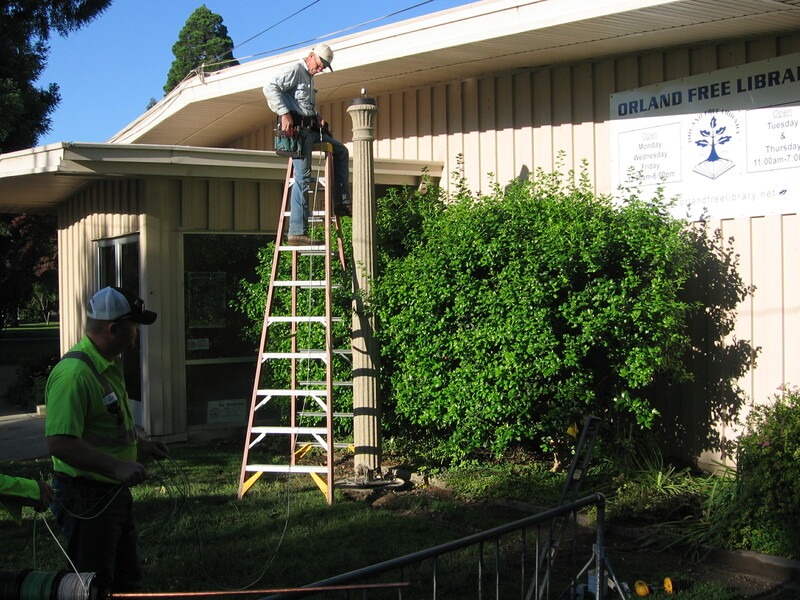 Steve Halsey and Orland Public Work’s staff installing the electrolier. “Rescued” from a backyard in Orland, the vintage electrolier was secured by Steve Halsey and donated to the City of Orland. 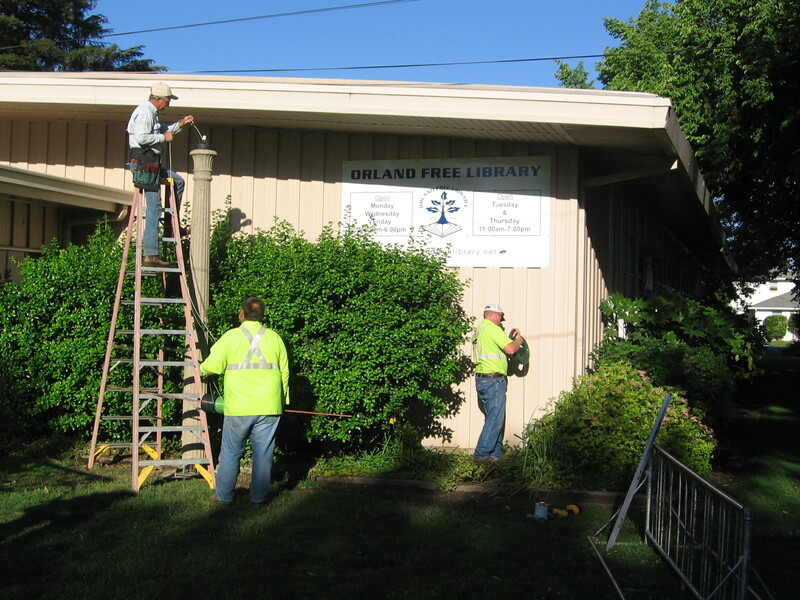 The historic lamp was placed north of the entrance to the Orland Free Library by city employees and Mr. Halsey on May 22, 2012. You can read the complete history of Orland’s Electroliers in Russell’s next book which is currently being worked on and scheduled for publication in time for the annual Orland Craft Fair Thanksgiving weekend. Be sure to pick up a copy!